CDN and Ingram Micro Canada partnered for the seventh annual CDN Women of the IT Channel Recognition Luncheon; this year at the Credit Valley Golf and Country Club in Toronto. 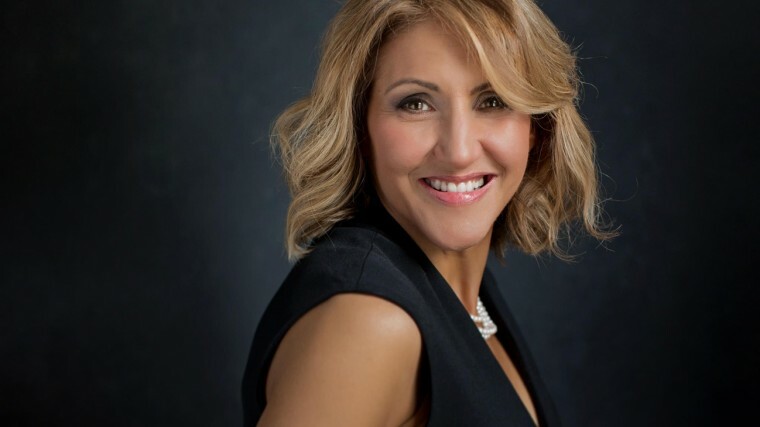 More than 170 influential women executives from across the country attended the event that featured a keynote address from author, innovator, and entrepreneur Barbara Stegemann. She is also the founder of The 7 Virtues Beauty, Inc., and author of The 7 Virtues of a Philosopher Queen. The CDN Women of the IT Channel Recognition Luncheon also featured informative speeches from IT World President and CMO Fawn Annan, Ingram Micro Canada President Bill Brandel, the newly named President of the Canadian Channel Chiefs Council Corinne Sharp, and spectacular ninth grader Riya Karumanch, who already is running her own startup. The event also took time out to honour three senior level women executives in the Canadian channel. Eva Kostuik, Strategy Director, Past President, Lanworks Inc.
For the first year time, the CDN Women of the IT Channel Luncheon had a Mentor of the Year award. This award was given out to an outstanding female role model who has established a record of consistent outreach to individuals in the channel over a number of years. 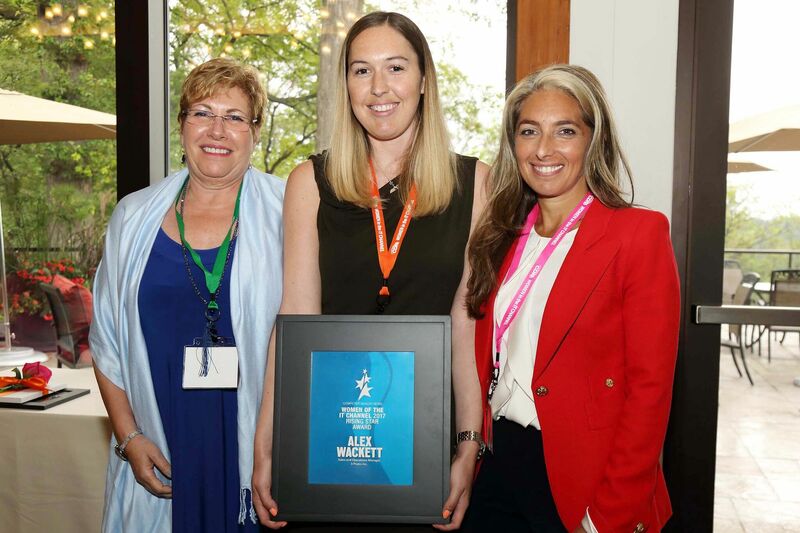 The 2017 Mentor of the Year was Carrie Davis-Sydor, the vice president of sales and alliances at Cimpl, a Quebec-based telecom and IT expense management software company. 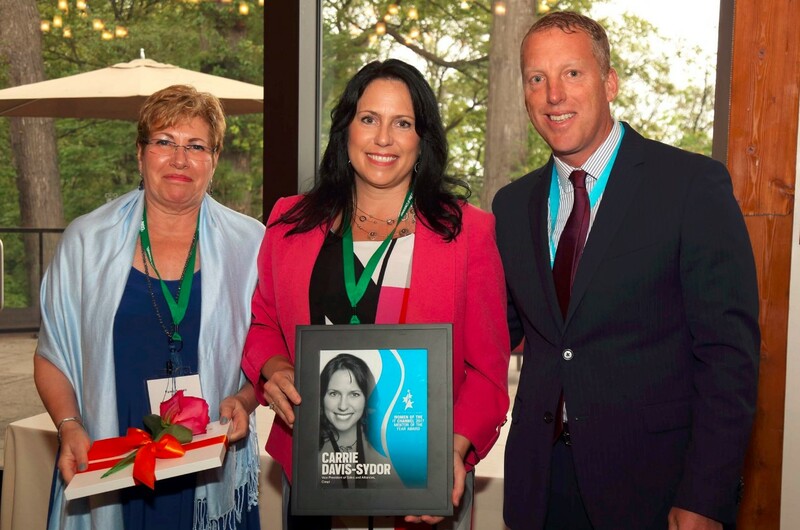 Carrie Davis-Sydor (middle), Mentor of the Year award winner, with Fawn Annan, CEO and CMO of IT World Canada, and Kevin Connolly, president of Dell EMC Canada Commercial. Plus, the Rising Star of the Year was Alex Wackett, the sales and operations manager at 3 Peak Inc. The Rising Star award is given to an individual with five years’ experience or less who has made a tremendous impact at her company and in the channel community overall. CDN will have continued coverage of this event as well as video interviews from all the participants in future issues of CDN Now. And, look for feature articles on the honourees, Mentor of the Year, and Rising Star, in the Sept. issue of the CDN digital edition magazine.